I wanted to share some exciting news with all of you that I'm finding pretty cool these days. I've been chosen to be one of Keen Canada's newest Ambassadors for 2013 going forward. If you haven't discovered Keen footwear yet you really have to check out their website or go down to your nearest outdoor store because they have some seriously sweet sandals and shoes for summer. I got my first pair of Keen hiking boots last summer and chose them because I felt like I'd put a pair of slippers on my feet - they were that comfortable! Still are. I also got my first pair of Keen sandals late last summer and was surprised I could wear them for a 12km hike over rocky terrain. I even wore them on a glacier! Not bad for a pair of sandals. Keen Canada enthusiastically believes in the idea of getting outside every day to play and you'll see this passion reflected in their popular slogan, "Recess is back" found in all of their recent marketing. 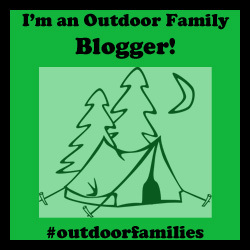 You'll know from reading this blog that my family and I are also rather passionate about our outdoor pursuits and that we do like to have fun! Because of our similarity of visions, it was a pretty easy decision for me when I was asked if I'd become an Ambassador for the company. 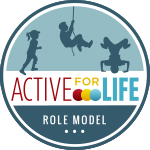 Support and promote outdoor play, fun, and health? Ah, yeah! As one of my first contributions as Ambassador, I've written a story for the new Canadian Outdoor Adventures website, powered by Keen. I chose to write about one of my favourite new things to do in spring as a family, Spring Backpacking. 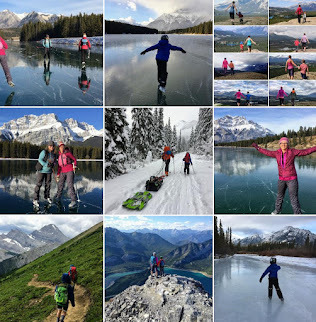 Yes, really - backpacking in spring - in the Canadian Rockies. We've made it an annual tradition complete with down sleeping bags, boiled snow to drink, and heavy sleds laden with our overnight gear. 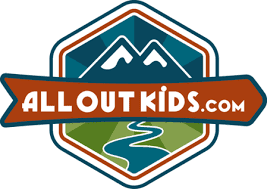 To read the full story, please follow the link to my story, Spring Backpacking With Kids. Then, leave a comment below and let me know if it's something you'd ever try with your family. If you've done winter or spring camping with your children I'd love to hear about your experiences. I'll have another post out this week that you'll like. We snowshoed into another cabin in the Rockies. Very easy snowshoe, maybe 500m at most. Still challenging getting the kids and all the gear in though.